Blogger is one of the most popular platform.Most of the publisher use it as a magic wand which generates heaps of traffic for their website other the that it is also misused by many users which is becoming one of the biggest headache for the publishers.Most commonly the visitors which only visits some ones website as they want to increase there backlinks and they usually include a website links,anchor text Html link in there comments and they comment like a mad bot which repeats same comment one after the another.Wordpress allows to edit any comment but Blogger does not allow it's publisher to edit reckless comment all it allows is to remove the comment or make the comment spam.But now we don't need to worry about it recently I was working on blogger XML database and I figure out editing comments is very much possible and we can edit any comments very easily with two simple ways. 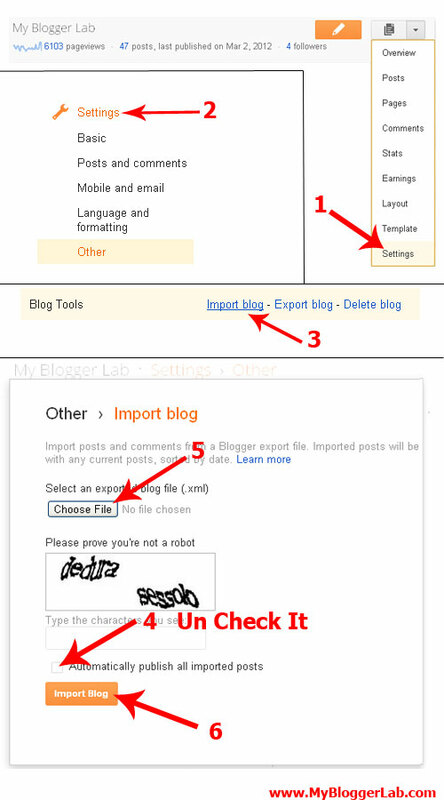 1.1.This method is bit a tricky one but don't you worry about it every thing will be fine.First you have to download a backup of your blog which is XML formate to download a backup of your blog go to Blogger.com >> Your Blog >> Setting >> Others >> Export Blog >> Download Blog >> And your blog will be downloaded. 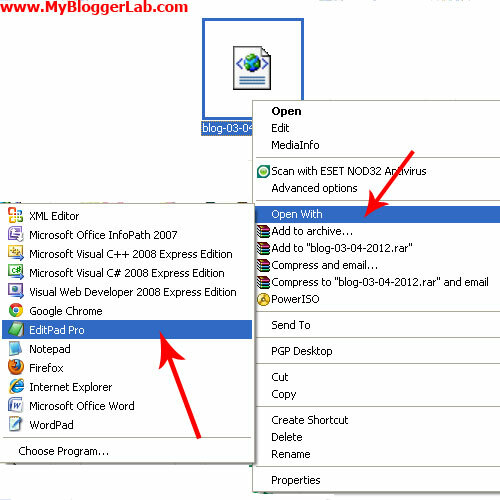 1.2.After your blog backup gets downloaded open the download file in your notepad.Now when the file is opened in notepad we will search for the comment we want to edit or we can even write then name of the comment poster.For Example a comment is posted on your blog "Great post. Learnt a lot on wordpress plugins. Installed few plugins to my wordpress" which is posted by Techmaker and you want to edit this users comment simply look for Techmaker or just type his comment when you find the comment simply replace any thing that you want to change. After doing the changes press Ctrl+S to save the document you can also save if manually if you like. Remember to uncheck Automatically publish all imported posts to prevent your blog from duplicate posting.After you imported your posts check your comments and you will feel a change.Now you can delete your imported posts as they are already published.And thats how you can edit each an every post on your blog.If you feel and difficulties feel free to ask peace and blessings. Do I have to delete ALL comments in a post or just the one I want to edit? In some other blog I read that I should delete the whole post...? Brother if you work as I Explained then no matter what happens It will work.On the other hand no need to delete your Post just delete the comment that you don't like as simple as that.Thanks for commenting Peace and Blessings. Hm... I'm just trying to change the date the comment was published. Hmm. You want to Change the Date in that case, i Don't Tried to Change the Date in This tutorial But soon Create a new tutorial regarding this. When I import it again, the comments I deleted don't come back. I followed everything you said. it just has the posts but no comments. Any hints? 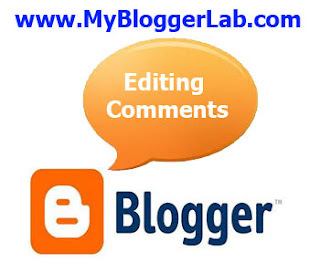 Go to editing page of your blog then click edit underneath the title of the blog you want to edit. 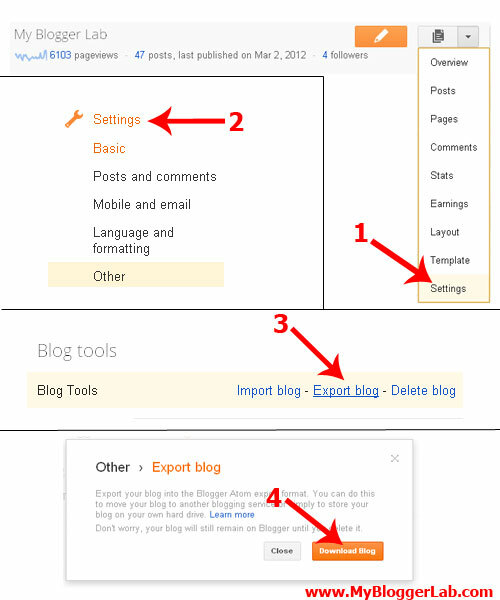 Then on the middle-far right side, there's the 'Options' setting of your blog. Under 'Readers comments', click "Don't allow, hide existing".